In a sport like running—one so ancient and fundamental—each millisecond, each minute body movement, counts. The race against time, against ourselves, requires close attention to all that goes into that next bounding step, from gait to conditioning to recovery. And analyzing and improving running is something the AlterG® Anti-Gravity Treadmill™ is particularly well suited for. Unweighted training has gained steam in recent years, finding its way into Olympic and professional physical therapy programs. That’s because unweighted training evens the playing field, allowing patients to forget worries about falling, pain, and injury so they can focus on the exercise at hand. This can be true of amputees learning to move on a new prosthetic, senior citizens lacking in strength and balance, or elite athletes looking to recover from injury and improve performance. Although there are a variety of practical applications for the AlterG® Anti-Gravity Treadmill, here is a brief overview of three key examples often used in physical therapy clinics. With advanced technology like Stride Smart, physical therapists can use gait and video analysis to identify asymmetry and gait deficiencies and to calculate the optimal body weight support needed for pain-free, normal gait or running. For the runner, Stride Smart provides instant feedback so they can make adjustments in real-time. Learn more here: Benefits of Video Recording Gait Physical Therapy Sessions. Anti-Gravity Treadmill technology also allows for overspeed training, an effective method for training at running speeds greater than one’s regular competitive speed. During a typical overspeed training session, the athlete will run at a rate 8% to 13% faster than his or her maximum speed, which can help involve more muscle tissue in the exercise, thus enhancing performance. Learn more here: The What, Why, and How of Overspeed Training. 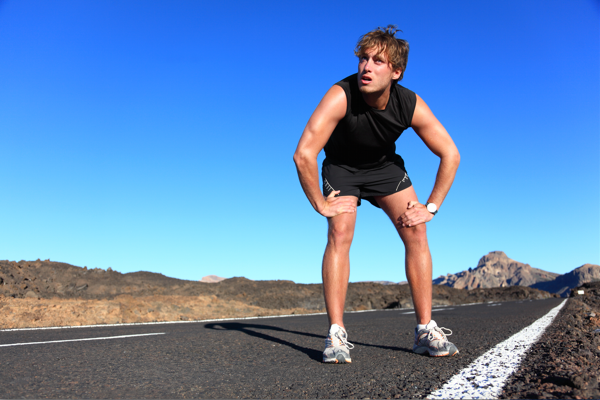 Recovery is another way runner’s make improvements. Because the sooner one can bounce back from a 5k, or a marathon, or from any injuries that result, the sooner they can resume a normal running regimen and, if applicable, begin training for the next competition. The goal is to work toward full body-weight running without risk for injury or other setbacks. The Anti-Gravity Treadmill has a variety of applications for runners looking to rehab from injury and overuse. Learn more here: Specialized Rehab and Training for Runners. Ultimately, a lot will depend on your patient and the nature of their therapy or training needs. Some need to recover from serious injuries sustained during competition; others need to relearn the very basics of human gait, due to obesity or traumatic brain injury. Whether using the AlterG® Anti-Gravity Treadmill or other approaches, an informed and consistent approach to training runners can help elevate their stride to new levels.